Classic Version, Classic Outdoor Version, and Muscle Version are available for immediate purchase! Updated News on Home Owner’s Association (HOA) and Property Owner’s Associations (POA) Approvals: Select HOA’s throughout the United States have recently approved CoverCar™ products for use within certain HOA communities. We highly encourage contacting your HOA/POA to learn about receiving an exception to policy or approval. 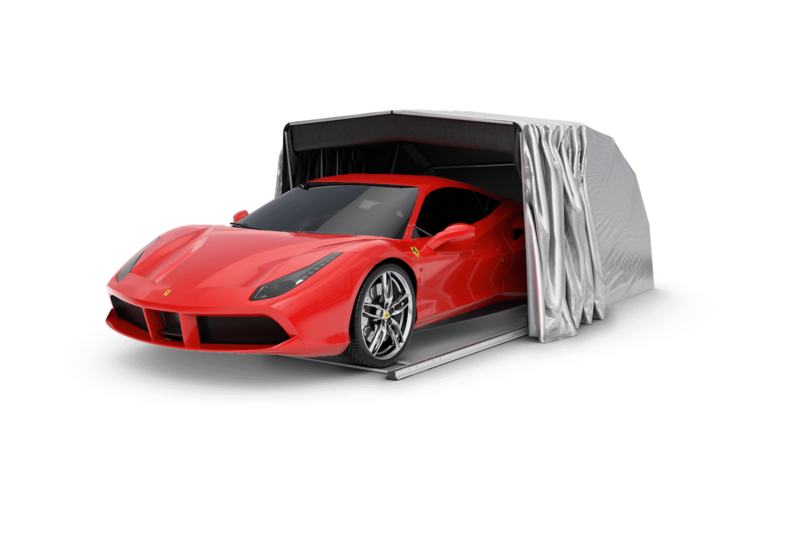 Ihor Petrenko founded CoverCar Concepts in the Fall of 2016 after years of wanting a car cover unlike any other on the market. Ihor grew up in Phoenix, Arizona and envisioned owning a classic car of his own since High School. 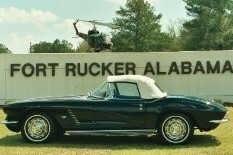 In the Spring of 1993, while stationed at Ft Rucker Alabama attending the US Army Flight School, he purchased his first Corvette, a 1962 Roadster. During his 24 year US Army career, Ihor’s Corvette traveled with him all over the United States and several duty stations. 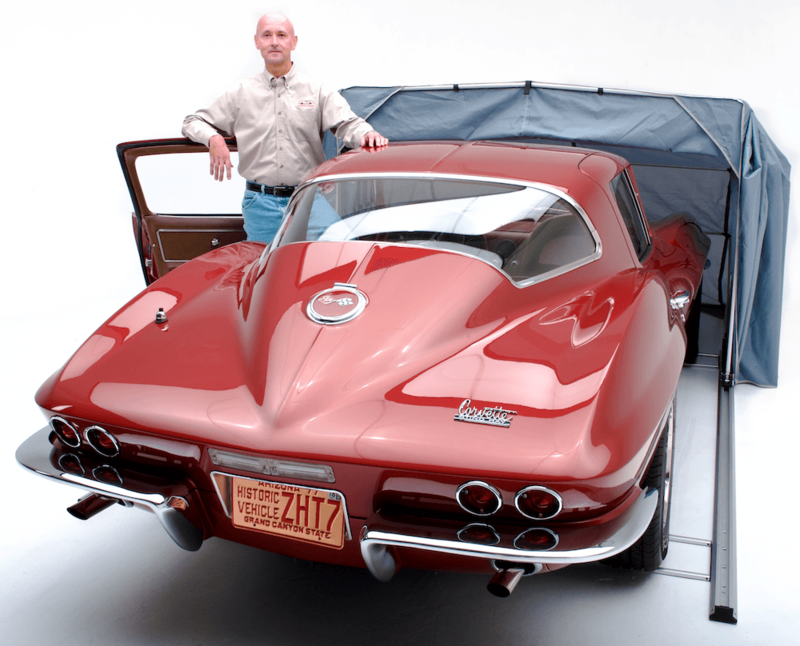 Many times, the Vette had no garage or car port for storage. His only option was a generic car cover. 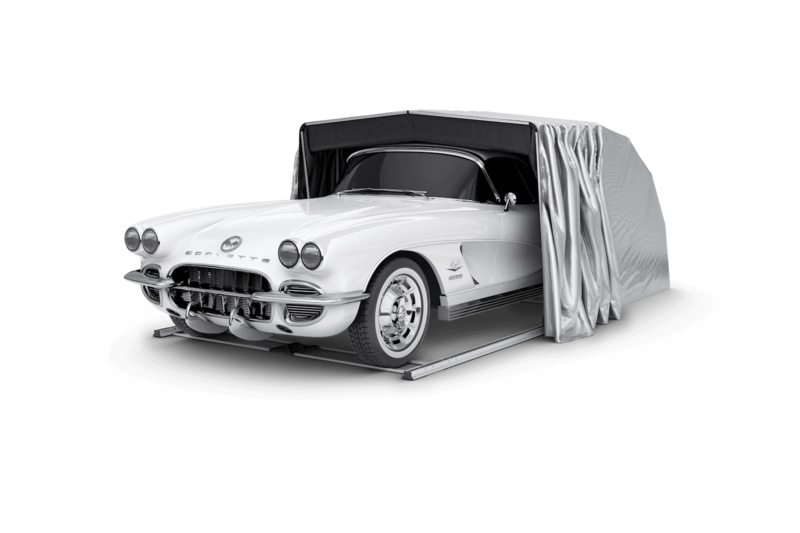 Experience taught Ihor that traditional car covers only provided basic protection for the Vette. From freezing rain to snow, falling tree leaves and flying debris, he quickly learned that a traditional car cover just wasn’t enough. He began searching out new and innovative ways to cover and protect his investment. Prior to his retirement from the United States Army, Ihor sketched a very rudimentary drawing of his design. And, after 24 years of service in the United States Army as an Aviator, Ihor retired and moved back to Phoenix, Arizona. 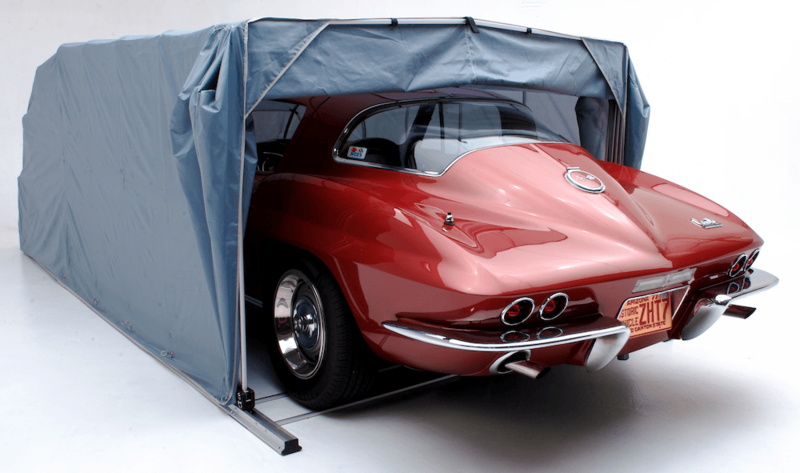 In 2013, he began his mission to creating a car cover that would protect and preserve. 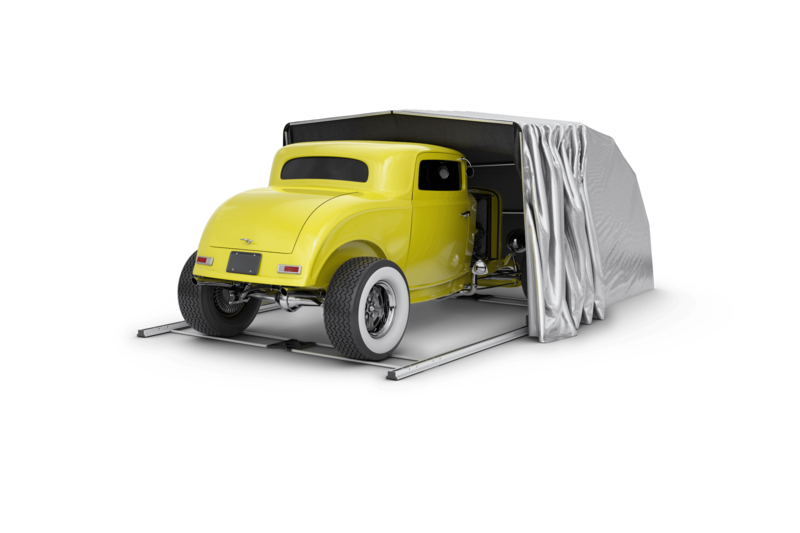 Working with Danny Reed, a Freelance Mechanical Engineer and owner of Spline Design, as well as an avid car enthusiast, the Classic CoverCar was developed. 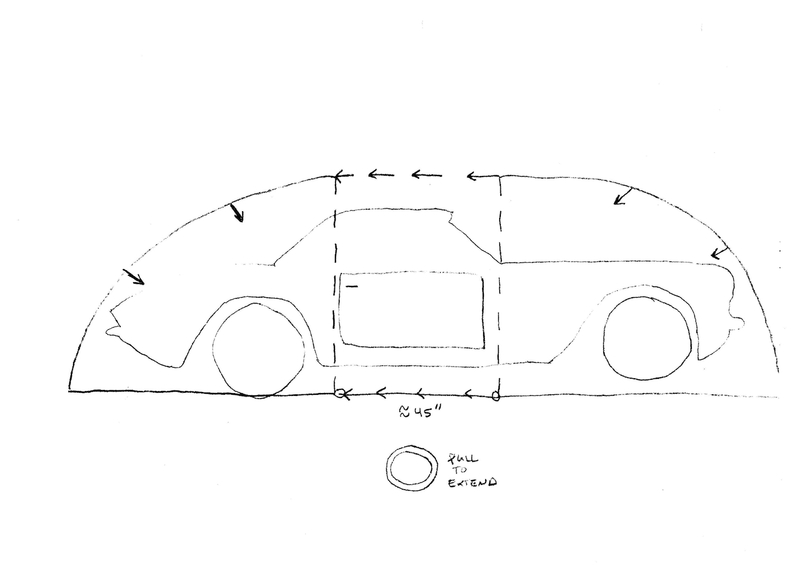 Danny took Ihor’s concept, designed both Classic and Muscle Versions, engineered both versions, verified final Prototype for Proof of Concept and prepared and finalized the Computer Aided Design (CAD) drawings for manufacturing. 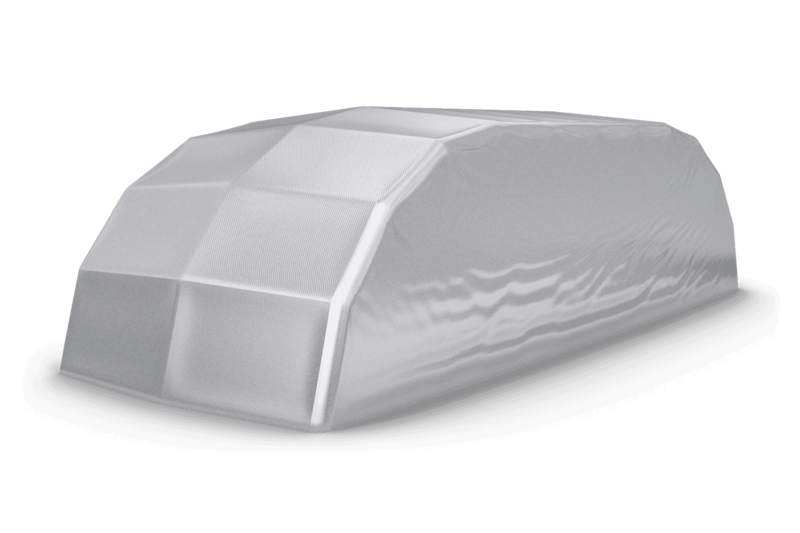 CoverCar continues to develop an Outdoor Version and Nor’Easter Snow Version. 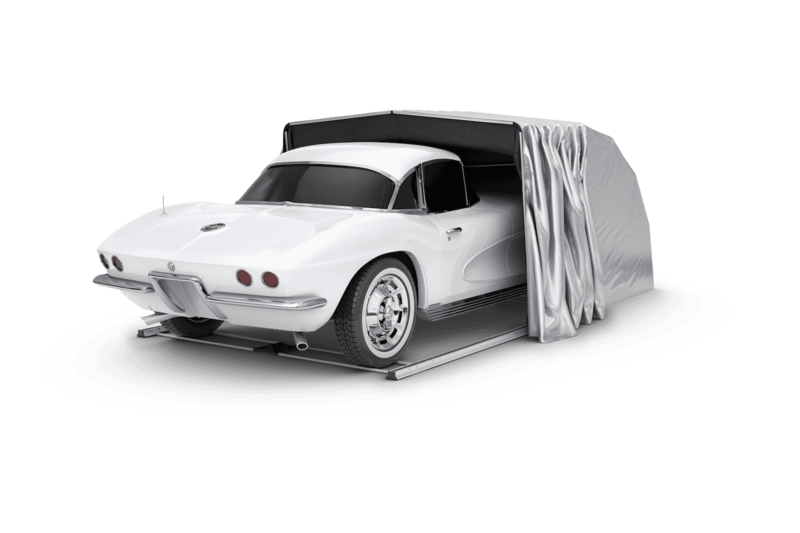 In May 2018, CoverCar Concepts decided to move its entire manufacturing operation back to the United States. 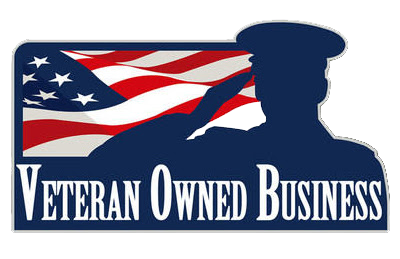 All products will now be made in the MidWest of the United States of America, utilizing well established companies with extensive manufacturing experience in textiles, injection molding, and aluminum extruding. Wheel Chock adjustable to accommodate various wheel bases. Total Weight: 80 US Lbs. 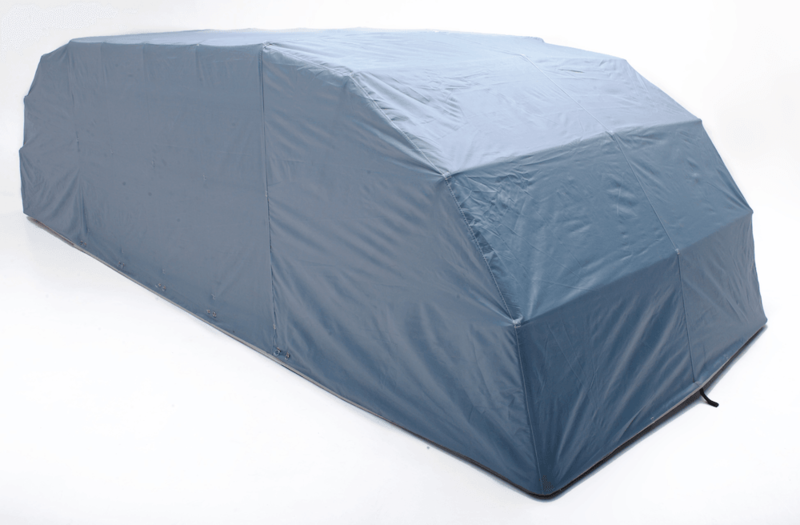 Cover is made of durable, breathable, SPF protected, water resistant fabric. Some Models of vehicles may require the antennae to be lowered to its factory stow position and or removed. Designed for the stock, non-modified version of the vehicle. Customers are encouraged to confirm the overall dimensions for your vehicle. Total Weight: 90 US Lbs. 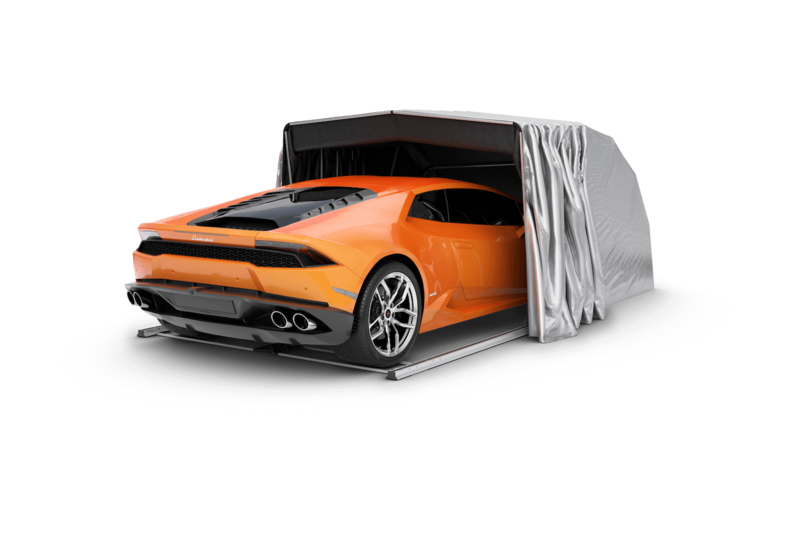 To provide a unique and functional alternative to the standard car cover, by offering the highest quality, manually operated, low profile, fully encapsulated car cover and protection system. 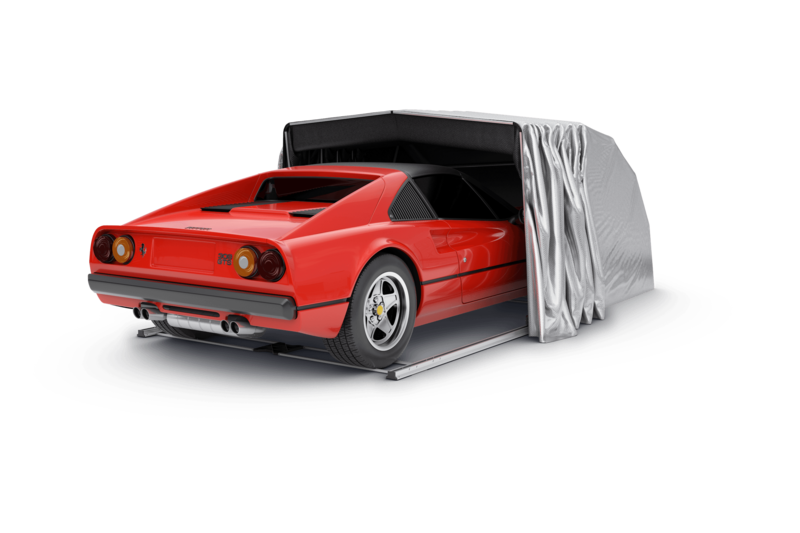 Designed by classic car owners with classic car owners in mind. Send us your thoughts, questions and comments at customerservice@covercarconcepts.com or fill out below form. 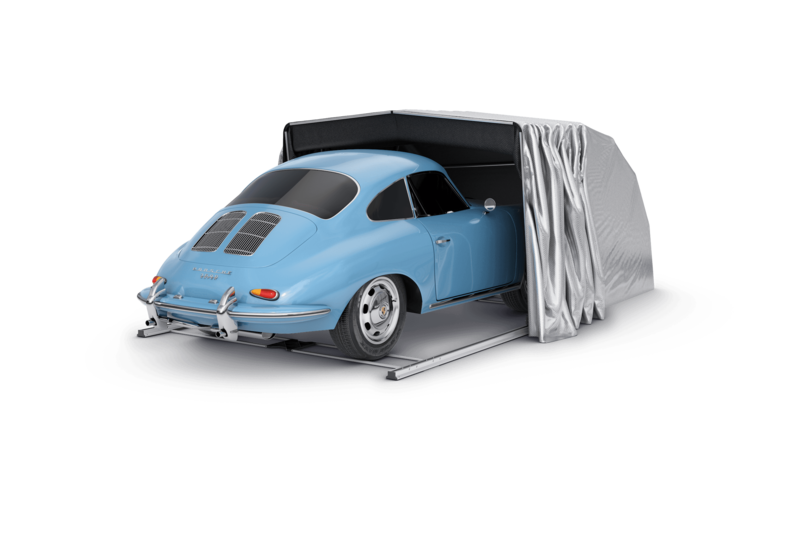 Size of CoverCar allows for use in garage and carports. All Engineer Technical Drawings, Computer Aided Design (CAD) Drawings and associated 2D and 3D Files for US Patent #9,765,545 are officially registered with the US Copyright Office, effective February 21, 2018. 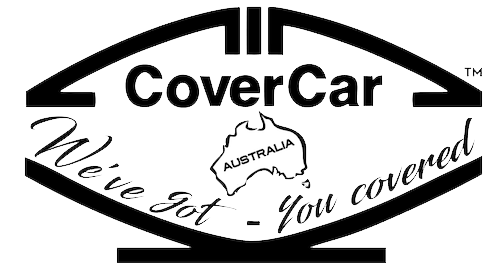 CoverCar, LLC or its Trademark and Brand may not be used without written authorization. 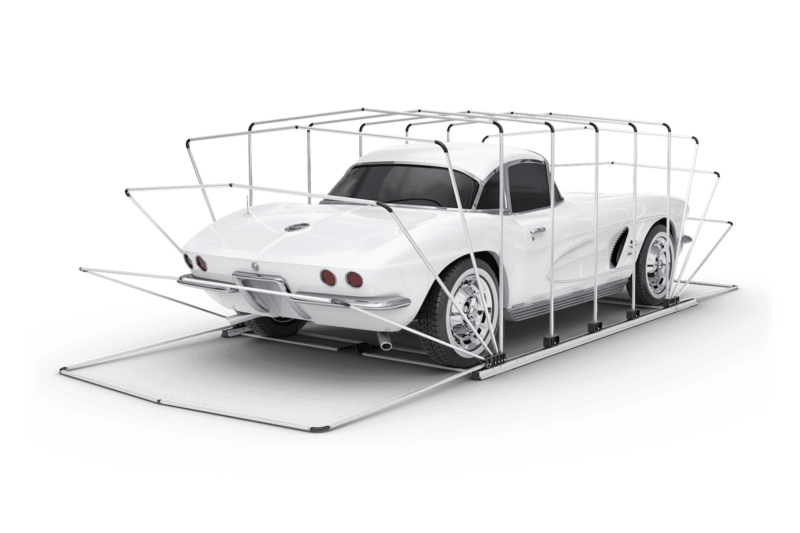 At this time, CoverCar LLC, has not provided any written authorizations and has not provided any Product License Agreements or Distributorships to anyone within the United States or Worldwide. 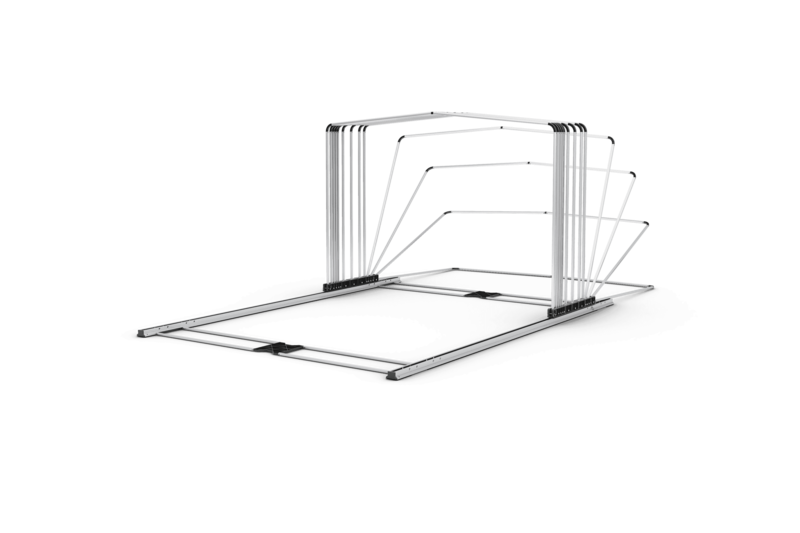 CoverCar LLC products are currently sold exclusively through the on-line website portal. If a customer or potential customer sees a website or product using any of CoverCar LLC Intellectual Property or Products, we would like to hear about it most expeditiously. Please report to customerservice@covercarconcepts.com.